8:30 am (until gone) - Donuts and coffee will be served in the Pavilion, compliments of Project Pride. 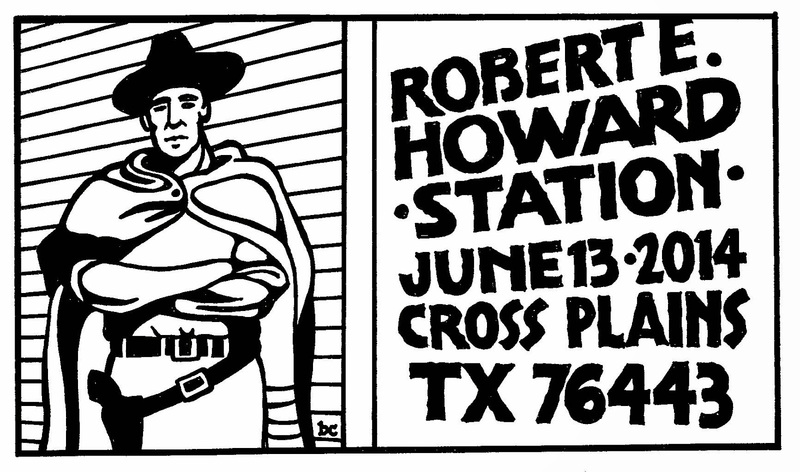 9 am to 4 pm - the Robert E. Howard Museum is open to the public. Please stop by the registration canopy out front and sign in, and get a name badge so everybody knows your name. Then enter the House and either take a tour guided by docents in every room, or be free to wander the rooms on your own. The highlight of the tour is Robert's room, a space smaller than most of today's office cubicles but where entire worlds were created. There's a pretty nice Gift Shop in the rear of the house too! 9 am to 11 am - Bus Tour. This Friday only activity starts in the Pavilion where we'll congregate and then board an air-conditioned school bus. Local Cross Plains historians and Howard scholars will then take you on a narrated tour of surrounding environs and the town of Cross Plains, shadowing the footsteps of Bob Howard. 9 am to 4 pm - Postal Cancellation. The Cross Plains Post Office sponsors an annual REH souvenir postal cancellation, where you may get your envelopes and postcards postmarked with this special stamp. 10 am to 4 pm - REH Swap Meet. The Pavilion is available for you to set up and view small displays of your REH items for sale. As this is a free service, we ask that you donate 10% of your sales to Project Pride. 10 am to 5 pm - The Cross Plains Public Library is open. We have most of the panels here. The Library also has the world's largest collection of Robert E. Howard original typewritten manuscripts on public display for viewing and examination. 11 am - PANEL: "In the Guise of Fiction". Howard scholars Jeffrey Shanks and Al Harron will discuss Robert E. Howard's love of writing about real history disguised as a fictional story. Jeff and Al will talk about REH's "early" history writings. Noon - Project Pride will host a genuine Texas cookout lunch (hot dogs, burgers, chips) for all attendees. Don't forget to help them out with a couple of bucks in the Donation Jar! Thanks. OK, that's a pretty awesome morning schedule for y'all. Tomorrow we'll tell you about the afternoon and evening schedule, so y'all come back. 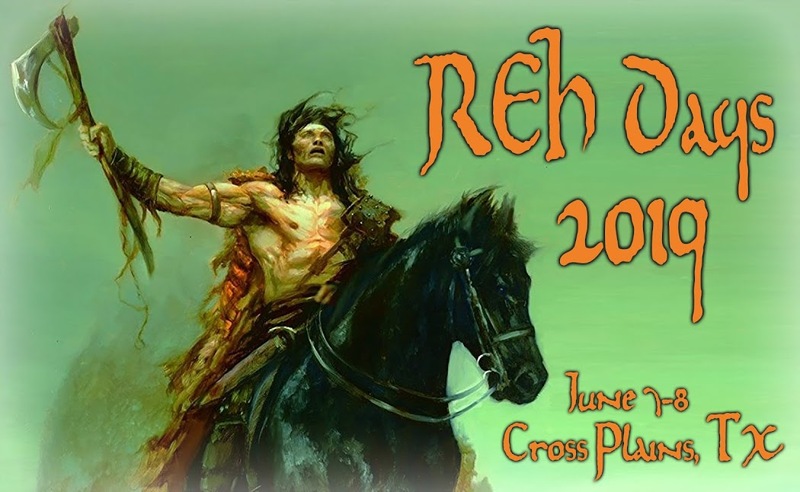 Or, you can click on the REH DAYS 2014 tab over at rehupa.com and get the full story.